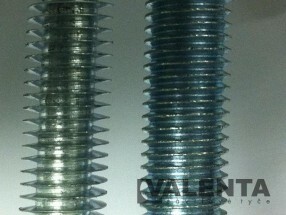 Check of the quality of rods with metric thread - Valenta ZT s.r.o. 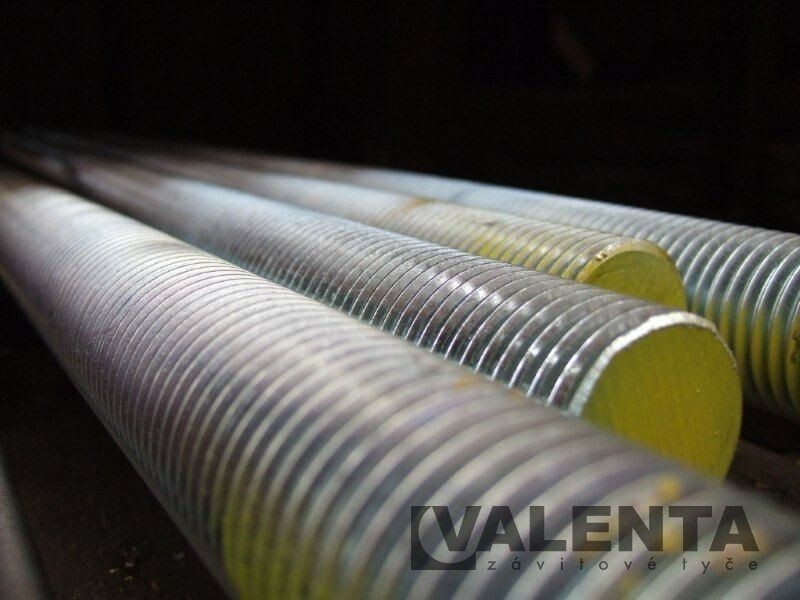 We would like to inform you that in recent months we have increasingly encountered rods from certain sources, which are of insufficient quality and in some cases their use may be even dangerous. Unfortunately we encounter rods, for which the reduction of production costs have a modified thread section, contrary to the standards they should comply with. 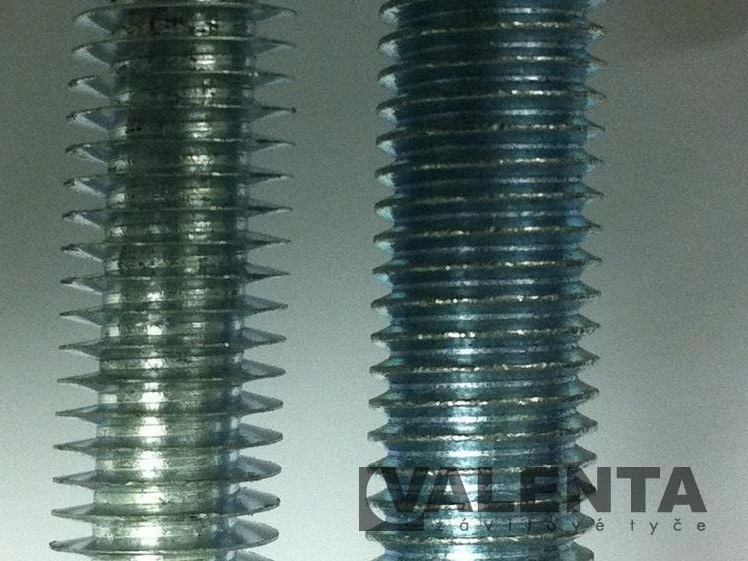 While the outer diameter of the thread is virtually the same as on a properly manufactured rod, such rod production contains less material because of a different shape of the thread - see picture on the right. The modified section manifests itself for example by a large clearance between the rod and the nut, pointed thread crests, and in case of load it may cause stripping of the thread or even breaking of the rod itself. 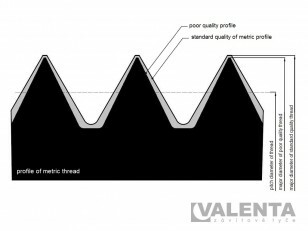 Naturally we check our products carefully, both for the quality and chemical composition of the material and for the quality of the thread, by means of respective gauges and other ways of measuring of the central and outer thread. We understand that such inspection is often unfeasible for you and therefore we are pleased to advise you other, easier methods. 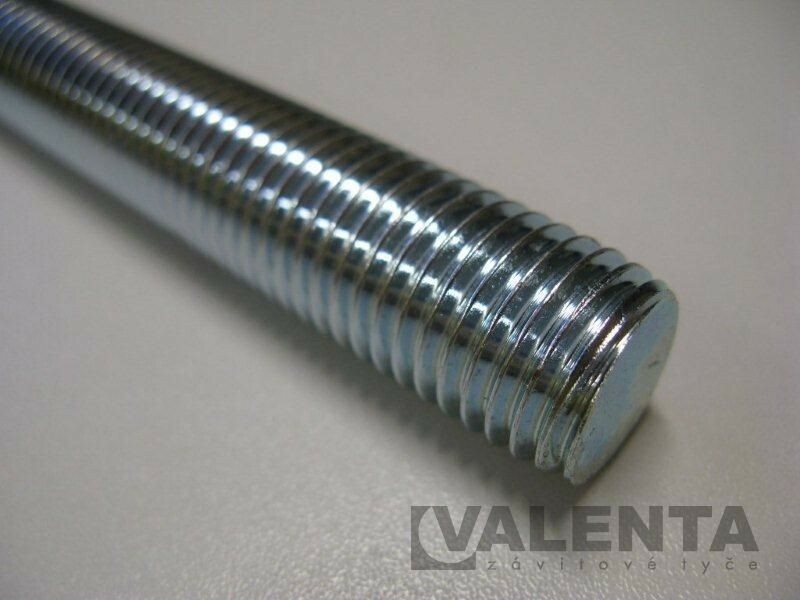 The fastest check of the thread quality, besides the visual inspection, is also the check of the correct weight of the threaded rod. That is why we include the table of the correct values for 1 metre rods and individual sizes here. 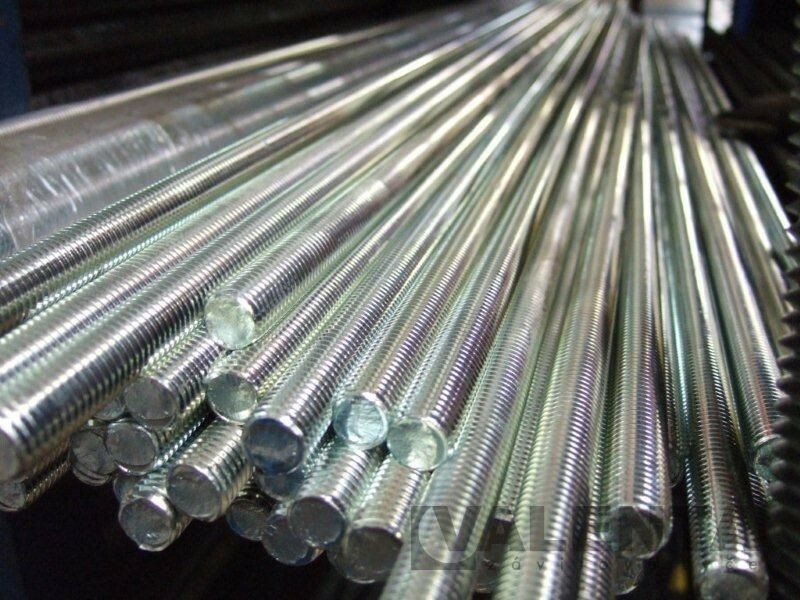 If you have any questions on the quality of rods, please do not hesitate to contact us, we will be glad to help you. An information leaflet about the issues described on this page in PDF HERE.